Should HR professionals connect with employees on Facebook? Some said it was OK to accept friend requests from employees but to “tread lightly.” Others said it’s better to invite those employees to connect on LinkedIn instead because that platform is more professional. Concerns about connecting on Facebook—and retaining those connections after a promotion—ranged from finding out too much information about employees to being accused of favoritism or impropriety. Most people who commented on Wheeler’s post recommended against accepting a friend request from an employee, and employment attorneys generally agree. That’s because people tend to share very personal details about themselves and others on social media, and what you see may create conflict. For example, one person wrote that an employee who was supposed to be teleworking had posted on Facebook that they were actually partying in Las Vegas. Things change, too, if a Facebook friend becomes the boss. Once you become a supervisor, being a Facebook friend with a subordinate is problematic—"You have the potential to get additional information you otherwise would not have,” said Douglas Towns, a partner in the Labor & Employment Group at Sherman & Howard LLC, based in Atlanta. He said that, as innocuous as it may seem, information people post on Facebook about themselves and even their family members may have implications under the Americans with Disabilities Act (ADA) or Genetic Information Nondiscrimination Act (GINA). Both federal laws protect people against discrimination. So it’s possible for people to share information on Facebook, for example, about a medical condition, that could lead to their filing discrimination claims later. When HR professionals ‘friend’ employees, they “may learn things [they] don’t want to learn—not because they are bad, but because someone could attribute an adverse action to the existence of what you learned,” added Jonathan Segal, a partner at Duane Morris LLP in the Employment, Labor, Benefits and Immigration Practice Group in Philadelphia. For example, “You learned I was pregnant. You learned I had bipolar disorder. You learned I was divorced. You learned I was converting to Catholicism,” he said—all of these situations could lead to discrimination claims later. What About Protecting Your Posts? HR professionals need to be aware that if colleagues see their social media posts and find the posts offensive, those feelings can spill over into the workplace and the posts may no longer be private, said Segal. “Another concern is that an employee could post things that could create a duty on the part of the employer to act,” he added. For example, if an employee engages in illegal activity and shares that on Facebook. Some people have more than one Facebook account—one for friends and family, and one for work and business contacts. But that doesn’t work for a number of reasons. Even if you use an alias, people still know what you look like and who your friends are. They may even have some of the same friends. Facebook’s algorithm frequently encourages you to grow your friends list based on these connections, and both your “real” and fake Facebook accounts may show up. That’s because of Facebook’s Graph Search—the search engine within the platform. It allows users to “search for a person’s name and see what photos they’ve liked and what statuses they’ve commented on, and if those are public or if the comment or picture is public and accessible by search, you can’t hide [your true identity],” Price added. 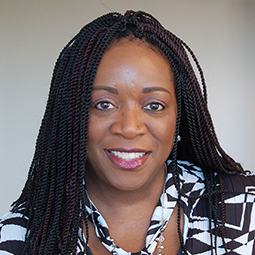 Aliah D. Wright is an online editor/manager for SHRM. She is also author of “A Necessary Evil: Managing Employee Activity on Facebook, Twitter, LinkedIn … and the Hundreds of Other Social Media Sites (SHRM, 2013).